The Statue of Liberty is an iconic U.S. landmark and is also considered to be the world-famous symbol of freedom, welcoming immigrants into the country. Turn yourself into the famous statue for Halloween, Fourth of July, or for any other patriotic event of the year! Introducing the Women's Classic Liberty Costume. 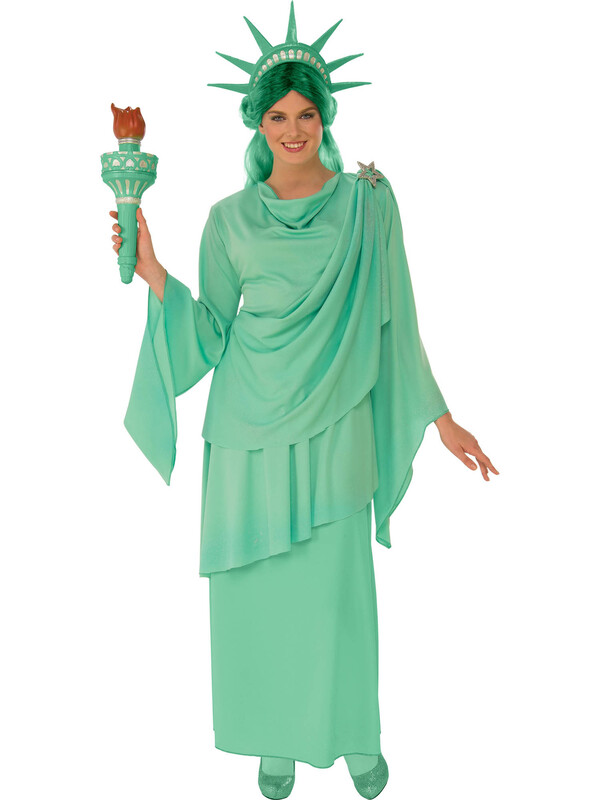 Show your love and dedication to this well-known and recognizable statue as you transform yourself into Lady Liberty and attend the party as her. To help you look like the real deal, the costume includes a dress and a headpiece. Upgrade the look with a torch and you'll look almost like her yourself!